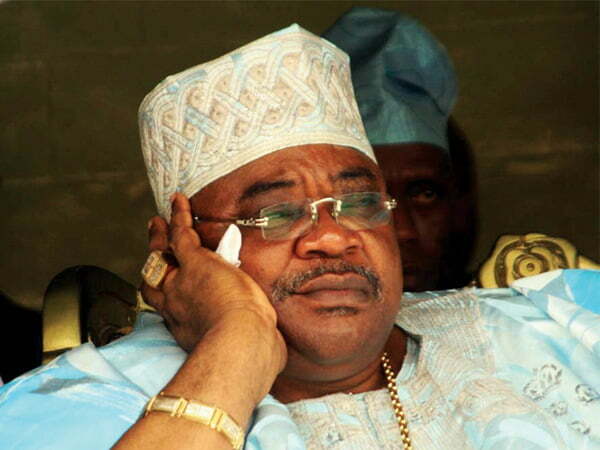 A group, the Pathfinder on Wednesday cautioned a former governor of Oyo state, Adebayo Alao-Akala to be cautious of the antics of the state governor, Abiola Ajimobi and some elements within the ruling All Progressives Congress (APC) in the state. The Pathfinder, in a statement issued in Ibadan by its coordinator, Gbenga Keru, alleged that if the present game-plans in APC in Oyo state are anything to go by, it is glaring that the strategy “is to tactically scheme” Alao-Akala out of political relevance in Oyo state before the 2019 general elections. Keru maintained that as formidable and loyal supporters and admirers of Alao-Akala, “We are constraint to before it will be too late ask our own Otunba Adebayo Alao-Akala to wake up now and do the needful so as not to be untimely sent into political irrelevance”. He stressed that “picking of APC state Chairman, Financial Secretary and even the election of a new Speaker of Oyo State House of Assembly as well as the picking and election of Otunba Alao-Akala son, Olamiju as one of the newly elected Council Chairmen in the state are mere ploy by Governor Abiola Ajimobi to scheme out Otunba Alao-Akala from contesting in the 2019 governorship election in Oyo state. “We at the Pathfinder group wish to caution our leader and the real grassroots politician in Oyo state, our own Otunba Adebayo Alao-Akala to without wasting time reconsider his stand with the APC. Our observations in the unfolding political scenario in Oyo state leaves us with no doubt that Governor Abiola Ajimobi and some elements in the APC are up to a game plan which may eventually lead to his being schemed out of relevance in the Oyo state main stream politics”. As a group comprising of experienced technocrats and competent politicians, Keru said, “We are quick to add that having the state APC, Financial Secretary and the Speaker of the Oyo state House of Assembly from Ogbomosoland, speaks volume on the 2019 political calculations in Oyo state as it is clear that Ogbomosoland again cannot be thinking of having the governorship ticket in the coming dispensation come 2019. He concluded that, “The Pathfinder group is hereby urging other lovers of Otunba Adebayo Alao-Akala to prevail on him to shine his eyes in the present dispensation in the ruling APC so as not to be wish away from the political relevance as all eyes are on him as far as the 2019 governorship race in Oyo state is concerned”.